I did similar things but through paper filter. Got a nice full body but the paper filter seemed to take all the goodies away. 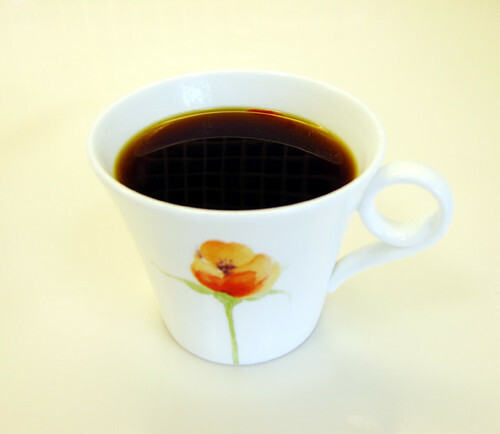 Have you tried the regular drip like Hario V60 + Kettle... Or Clever Coffee Dripper which, if done right, gives a better bouquet/flavor apart from just body? 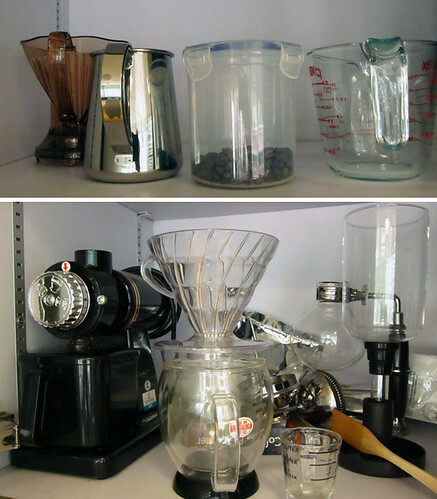 I had tried V60 filter paper + Kettle and Clever dripper as well, My practice is to use the above method 4 times a week and 1 times V60 filter paper + kettle a week. 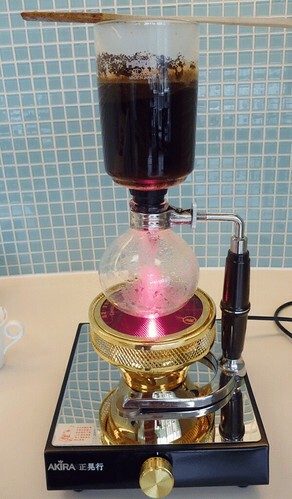 To me the above method resemblance the taste of Syphon better and also it can deliver more consistant results. 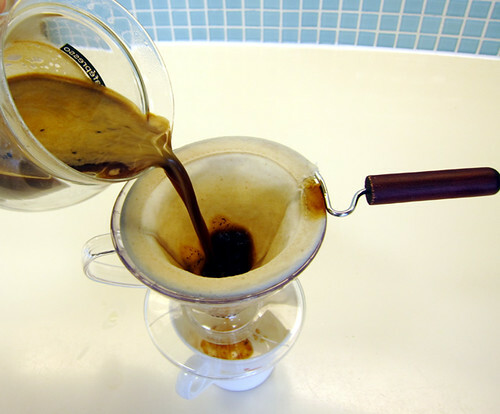 The V60+Kettle or 法蘭絨濾網+沖壺 is great too (if done right), but it is difficult to get consistant good results because of my mediocre technique. Clever dripper is one of the best invention in coffee brewing, but double wall glass pot hold the water temperature better during the brewing. 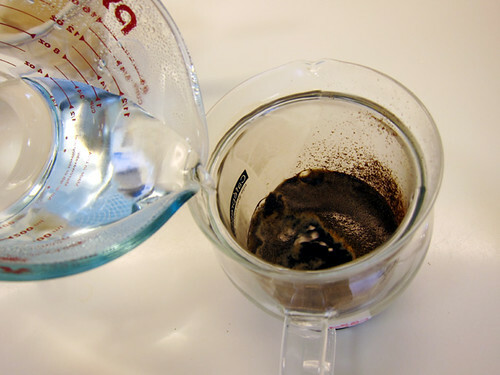 I just notice about 1 minute "steep" in step 3 so I wonder how fine is the ground, ie siphon style (finer than drip), regular drip or coarse like French Press. 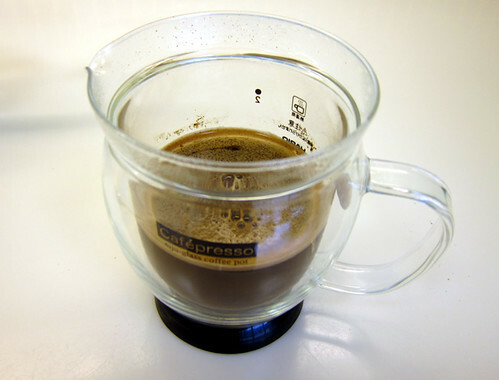 If finer grind, how long does it take the coffee to drain down. People always said vac pot tastes really good but I'm continuing to weigh the pro and con of it as I still haven't found vac pot cup that impressed me... Plus, I need to wash a lot of things, buy more stuff and stock up "fuel" like alcohol, gas, etc... Lots more work than press/drip... In conclusion, I'm too lazy for all these things..
Do you updose when you do CCD? How long do you "steep" the ground in CCD? 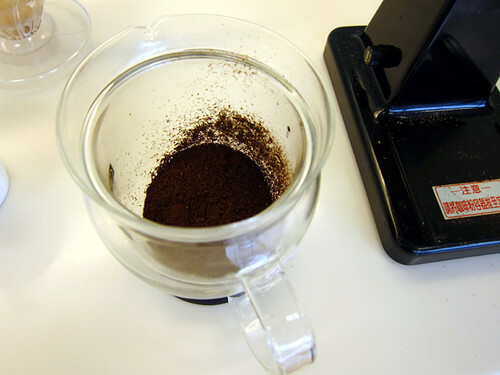 I normally grind a bit coarse than drip but not coarse as FP, since I don't want to drain too long, I do not time the drain, but my feeling is around 1 min or even less (since liquid go into the filter first and residue remains in the bottom of glass pot). The "cloth" 法蘭絨濾網 drain faster than filter paper. I will time it tomorrow. 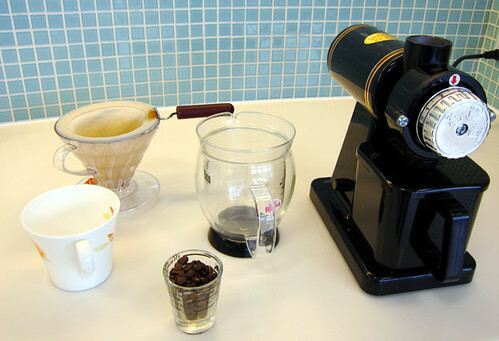 I enjoy the process of making coffee and play with different types of brewing equipment eventhough I am not good at doing it. Halogen lamp is clean and easy but not easy to justify if not using it often. Do you updose when you do CCD? How long do you "steep" the ground in CCD? I do not updose when using CCD, I do not use timer, but I usually 'steep' for one min or less.